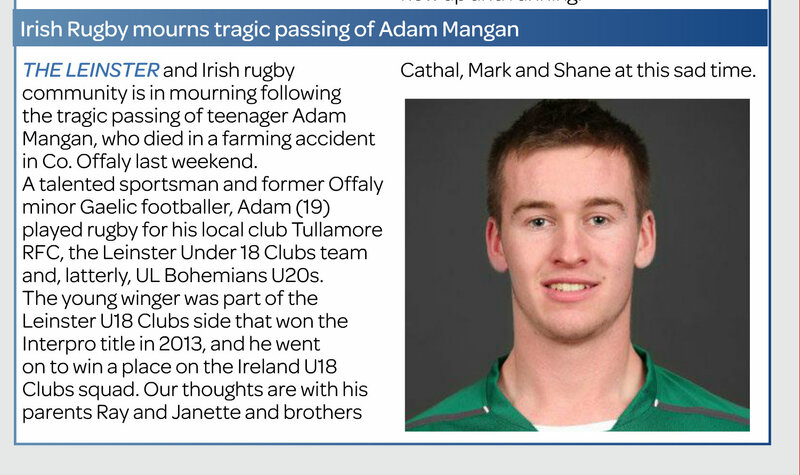 Beloved son of Ray & Janette and much loved brother of Shane, Mark & Cathal and grandson of Angela. 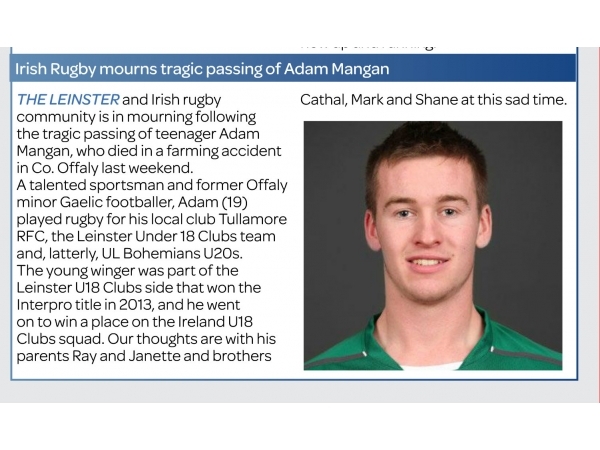 Adam will be sadly missed by his hearthbroken parents, brothers & their partners Aine & Danielle, nephews Aaron & Dan, grandmother Angela, uncles, aunts, relatives, team-mates and a large circle of friends. Reposing at his home from 12 noon on Tuesday (6th October) until Rosary at 9pm. Removal on Wednesday morning to St. Colman's Church, Kilclonfert for 11am Requiem Mass and burial afterwards in adjoining cemetery. HOUSE PRIVATE ON WEDNESDAY MORNING PLEASE.